A little over a year ago, we decided to evaluate how we do Christmas and not allow the excitement of the season to fall off a cliff immediately after the 25th. But what could we do? After Christmas everyone thinks about dieting, watching football, paying bills, going back to work/school, and starting the new year. It’s like “baby Jesus” gets abandoned after Christmas day. 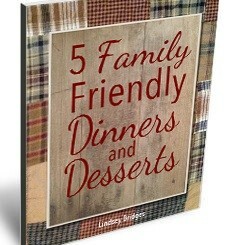 What would it look like for our family to develop some Gospel-centered traditions AFTER Christmas? How could we keep the excitement going for our kids? There must be a fun way to remind them of the importance of the incarnation of Jesus after December 25th has come and gone. That’s when Epiphany came to mind. In many parts of the world, the celebrations surrounding Epiphany supersede those of Christmas. Probably better said, Epiphany serves as a continuation of the Christmas season where we remember the birth of Jesus and how God showed us His love by becoming human in order to die for us. At Epiphany, the Christian church remembers how the wise men journeyed, got excited, gave gifts, and worshipped God incarnate–Jesus. Whoa. I created a series of devotionals for parents to start the year off with devotions, not resolutions. Let that one sink in. 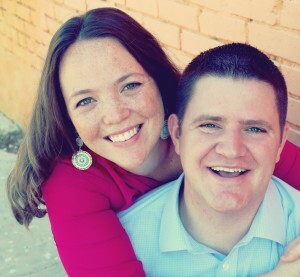 Imagine beginning your year with a Gospel-centered family, not a project-centered family. (You can insert many other words here in place of project.) Here’s how you can do it. Block off 15-30 min a day starting Jan 1st. 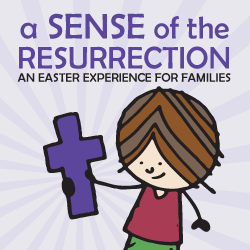 This will provide the time needed to walk through the Experiencing Epiphany devotional, complete the daily activity, and have a brief discussion with your kids. If you don’t set aside the time, trust me, you will fill it with something else. You may need to speak with your spouse, your kids, your relatives, your friends, or even your boss to carve out the necessary time. But make sure you have the time blocked out, so you can start the year off right. Experiencing Epiphany provides a supply list at the beginning. I know you are busy. I have 3 kids under 4 years of age. I know how brutal the mental fog can become when your kids fill your days. Constant activity, fun, screams, singing, and crying fills our house. Take the supply list and make sure you have everything at your house. Chances are you do. If not, take a few minutes to stop by the store today or tomorrow or think of a suitable substitute. Get what you need. Make sure you have everything ready. Don’t let excuses creep in later. Our kids respond best to new things when I tell them little bits of information in advance. We told our daughter last night about some fun activities we plan to start in a couple days. 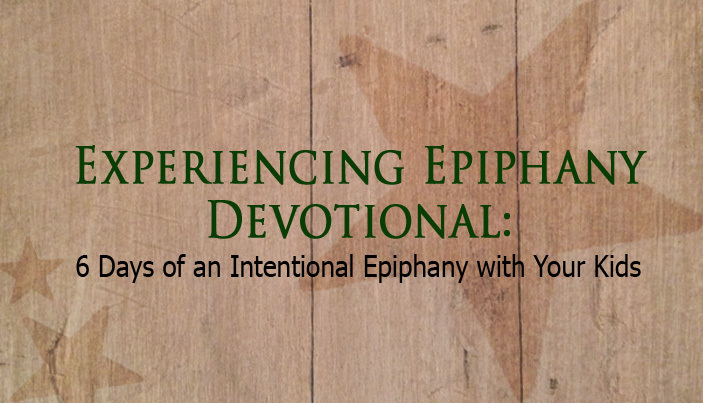 My husband read her the book’s foreword, so she could learn a little about the Experiencing Epiphany devotional. Our daughter asked, “Can you read more? Can we start tonight?” He reminded her that these activities begin in a few days. It was a great way to prime the pump. When we prepare our kids in this way, we create excitement rather than frustration later. We also create accountability for ourselves. We don’t allow tiredness or something else to become more important in our minds. It also gives us an excuse to continue sharing about the importance of Jesus coming to earth. Think about it. Christmas. IS. NOT. OVER. Invite others to celebrate with you. Perhaps you have aunts, uncles, grandparents, neighbors, or friends living nearby. Invite them to come Experience Epiphany with you. I bet many of them have never talked about Christmas and Jesus’ birth through the lens of Epiphany. 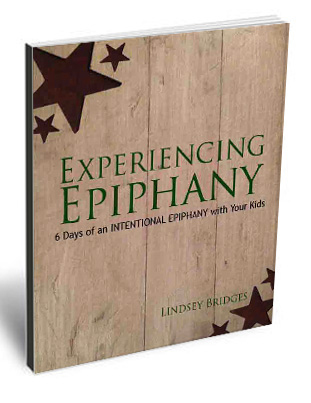 You might create a new tradition for another family as they walk through the Experiencing Epiphany Devotional with you. I’ll admit. At Christmas, I routinely buy things that my kids don’t need. I love seeing them smile and get excited. But I’m guilty. 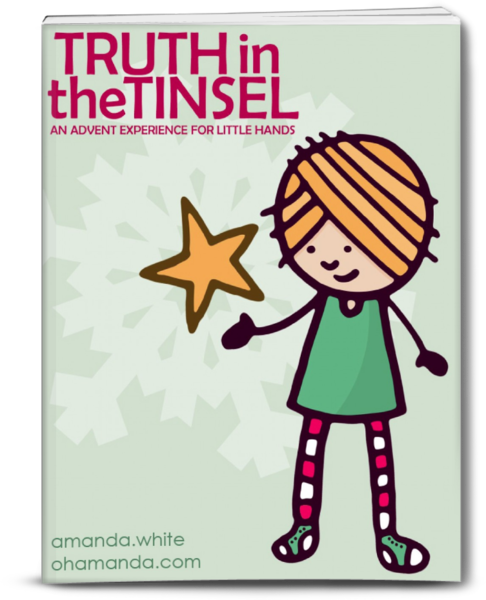 But what if for Epiphany you purchased a Gospel-centered gift or two for your kids? 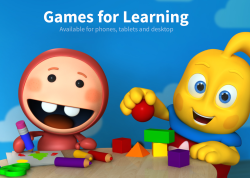 Do your children have a Children’s Storybook Bible? What about a devotional book for 2015? Maybe you could get them something made out of gold to remind them of how the wise men brought Gold, Frankincense, and Myrrh. Simple gifts like stars to put on their ceiling can be an easy and inexpensive gift as well. In years past, we’ve also purchased various books from the Big Thoughts for Little Thinkers series by Joey Allen (illustrated books about God’s Mission, Scripture, The Gospel, and The Trinity). Save these gifts either for the days you talk about topics related to them or until January 6th when people typically celebrate Epiphany; that’s the last day of the devotional as well. 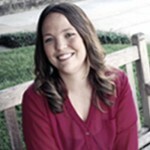 Don’t let fear of the unknown keep you from a Gospel-Centered start to you and your kids’ new year. Let me know if you have questions, ideas, or want to share another tip for us and others. 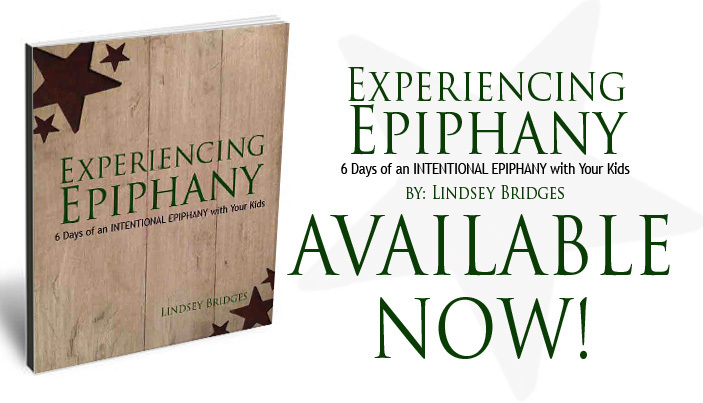 How do you plan to use Experiencing Epiphany in 2015? I’ll be giving away a free copy of the devotional book to 5-10 people who comment on this post with how they plan to use this devotional in 2015. I was just thinking about this today! How much I enjoyed the advent devotions and how we just stop after Christmas. I would love to give this a try and celebrate Epiphany! You should do so, Erica. I’d love to hear what you think as I agree with you; it seems like everything just stops after Christmas. Why not remember Jesus’ birth after we have opened our presents on Christmas day? You are so right. It seems like everybody believes in devotions until the day after Christmas. Hopefully this year “Experiencing Epiphany” has equipped many families, pastors, and churches to keep their devotional life vibrant. I’ve never even thought about this but it sounds intriguing! And my birthday is January 7th, it’s the only reason I know the date of Epiphany but I’ve never thought of doing a devotional/study for it. Sounds like a good tradition for the New Year each year for you Christie! 🙂 My husband and I always remember Epiphany because we know two guys who were both born on January 6th (AND they are brothers!). Sounds to me like a good excuse to start up a new bible study that will shed much light on what Epiphany is, what the days after Jesus’ birth could have looked like, and keep focusing on Jesus into the new year. Let me know what you think. Love this idea. We often did something similar when my kids were young, choosing to celebrate the 12 days of Christmas with a small gospel-centered gift each day, while also asking them to consider what gifts they would be willing to give up for others each day. This kept it from falling into a consumeristic mindset, but reminded them Epiphany is about what we offer the Christ child. Great idea, Jim! I think I like your idea so much we may end up experimenting with it next Christmas. I think kids benefit more from gifts that are spread out rather than giving tons of things on one day. Praying you and your family enjoy a Christ-centered New Year (and Epiphany) as you look ahead towards Lent, Easter, and the rest of 2015! shared it on my fb! thanks. after day 2 at school, we need to get deeper into Life and watch out for God! thank you. Thanks so much for the share Jenni. I applaud you for leading people to God’s Word and a relationship with Jesus!